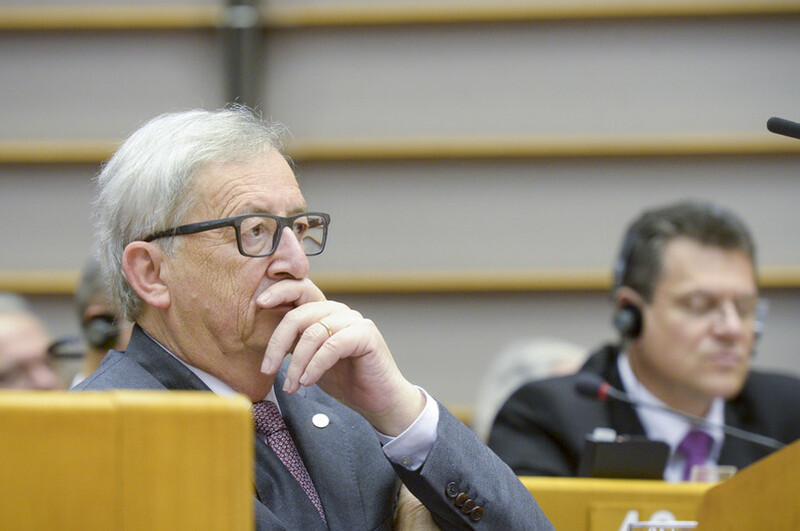 European Commission president Jean-Claude Juncker helped block measures to curtail tax avoidance during his time as prime minister of Luxembourg, according to leaked documents. German diplomatic cables leaked to German radio group NDR reportedly describe how Luxembourg railed against efforts to crack down on tax avoidance schemes under Juncker’s stewardship. Shared with the Guardian newspaper and the International Consortium of Investigative Journalists, a Washington-based club, earlier this week, the cables show the inner workings of the so-called code of conduct group on business taxation. The conduct group was set up in 1998 in an effort to abolish harmful tax competition among EU states. The German cables say plans to roll back aggressive tax planning schemes were repeatedly blocked by a core set of members often led by Luxembourg. Luxembourg had also protested efforts by some members to ease decision making within the group and expose those obstructing tax reforms. One cable, according to the Guardian, said Luxembourg had no interest in real reform. “It has become abundantly clear once again that a majority [of members states] are not interested in real reform. In particular, Luxembourg representatives said they would fundamentally object to any proposal to publish arguments made by Luxembourg in the committee,” the German diplomatic note said. A spokesperson for Luxembourg’s finance ministry told the Guardian that they had no knowledge of the discussions. Juncker was Luxembourg’s prime minister from 1995 until 2013. He also acted as finance minister from 1989 until 2009 and spent another four years as treasury minister. Within days of taking up his role as EU commission president, another massive document leak showed how the Grand Duchy had helped multinationals to avoid paying tax on profits through secret deals brokered by audit firm PricewaterhouseCoopers (PwC). Billions had been diverted away from national coffers that could have been used to finance public services at the height of Europe’s economic crisis. Asked by MEPs at the time to explain his role, Juncker denied having set up any tax system that discriminated against other EU states. “You actually in fact exaggerate my political talent in that respect,” he told MEPs in the parliament’s special tax committee in September 2015. The secret deals known as tax rulings were drafted in Luxembourg between 2002 and 2010. Almost 340 companies had exploited the tax loopholes designed by the Grand Duchy. The number of tax rulings has since increased by 50 percent in Luxembourg during the year following the scandal, according to Eurodad, a Brussels-based NGO. The scandal, dubbed LuxLeaks, ushered in new EU-led and national efforts for greater tax transparency, but also landed two whistleblowers and a journalist behind the PwC leaks in a Luxembourg court. The journalist was acquitted, but the two others received suspended jail sentences. An appeal has since been launched with all three now back in court facing possibly stiffer sentences. The German cables revelation is also likely to pile pressure on an EU commission that is increasingly seen as out of touch with the public. Former EU commission president Jose Manuel Barroso now works for Goldman Sachs, a bank that admitted to defrauding investors out of billions in the lead up to the 2007 financial crisis. Neelie Kroes, ex-competition commissioner, had failed to declare her directorship of a company set up in the Bahamas. The revelation was made following another massive leak of documents from the Bahamas corporate registry last September. Last November, EU commissioner Guenther Oettinger also flew on a private plane offered by a German lobyist with strong Kremlin ties. None were sanctioned despite widespread objections, including by EU commission staff, who signed a petition on Barroso. “It’s absurd that millions of Europeans who have suffered from austerity policies that created social division now have the godfather of tax dumping [Juncker] presiding over the EU commission,” said Fabio de Masi on Monday. De Masi is a German MEP from the United Left group who also co-chairs the EU parliament’s tax evasion committee.